Is Internet Addiction a Reality? Internet Addiction Disorder (IAD), also known as Problematic Internet Use (PIU), is the term used to describe a scenario where a person’s internet usage interferes with their daily life. 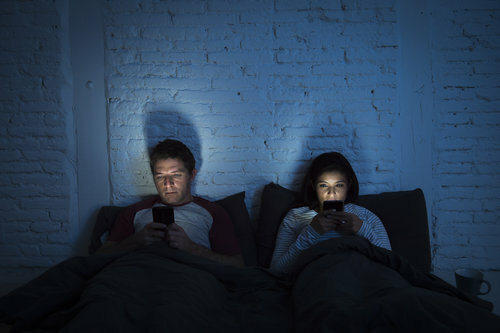 The idea of internet addiction was first put forth as a joke by Dr. Ivan Goldberg in 1995, but since then, there has been much debate as to whether or not we can really become addicted to the internet. Can You Be Addicted to the Internet? Many people will scoff at the suggestion that a person could become addicted to the internet, but it is an issue that should be treated with the same seriousness as any other. Although most addictions involve some form of substance abuse or consumable items, it is perfectly possible to become addicted to a behaviour or activity. Preoccupation: Thinking about the internet a lot when not online, wondering what has happened since you last checked. Time: Just like how drug addicts need to increase their dosage to get the same high, internet addicts need to spend increasing amount of times online to satisfy their needs. Dependency: Inability to stay away or cut back on internet usage, and irritability when offline. Impact: When internet usage begins to impact a person in other areas of life, it is a very serious sign of addiction. Turning in assignments late, missing tasks at work, or skipping events with friends/family in favour of spending time online are some of the biggest and more serious indications. Lies: Not all lies indicate addiction. What matters is the purpose of the lie. A teen may lie about being online while they were grounded to avoid getting in trouble, for example. But lying out of shame over how much time they have spent online indicates that they know it is wrong, but are unable to stop. A study released earlier this year found that Irish children are spending almost 6 hours a day online. With the recommended daily time for kids being 2 hours, this is quite a concern. Social media sites alone account for 63% of this, with YouTube, Facebook, and Instagram being the biggest time consumers. When it comes to limiting a child’s amount of time online, experts recommended using the 5:1 rule, which states that a child gets 1 hour of internet/technology for every 5 hours of non-internet related activity, such as school or playing outside. Adult internet use has also increased at an alarming rate. While Irish adults spent about 10 hours online in 2005, this had jumped to over 20 by 2014. Meanwhile, between 2010 and 2015, tablet use increased from 5% to 39%, while mobile phone use went from 30% to 66%. 90% of Irish adults now use the internet daily. While internet addiction is still in the early stages of being studied, we can say that it exists. Separating ourselves from the internet is nearly impossible in this day and age, but we should all be conscious of the risks that come with using it. The most important thing to remember is that using the internet is not a problem in itself, but if you think you may be over reliant on it, it is important to cut back and consider seeking help before letting it consume you. Looking for expert help? Get in touch!